“Location, location, location” is a much-used phrase in the real estate business these days, but in Guardamar del Segura it is the key to understanding the amazingly rich multi-cultural heritage of a town and municipality which, although small, is one of the most important in the Vega Baja area of the province of Alicante. Guardamar is located on a hill overlooking the Mediterranean, the mouth of the River Segura and the fertile flood plain which lies inland, and is known to have been home to Iberians, Phoenicians, Romans, Greeks and Moors during the millennium before the Christian Reconquista in the Middle Ages. Even in the twenty-first century it continues to attract colonizers from abroad, although of a rather different kind, as thousands of northern Europeans and residents of other parts of Spain descend on the eleven kilometres of almost unbroken sandy beach which run along this part of the Mediterranean coast in the southern Costa Blanca. If nowadays sand, sun and sea act as a magnet to tourists, residents are very much aware that the same sand almost brought about the demise of the town just over a hundred years ago, when the extensive dunes threatened to engulf Guardamar. However, a 25-year reforestation program managed to halt the advance of the dunes, and now the northern end of the coast next to the marina and the River Segura is covered by extensive areas of pine and palm groves which have helped to stabilize the sandy terrain. 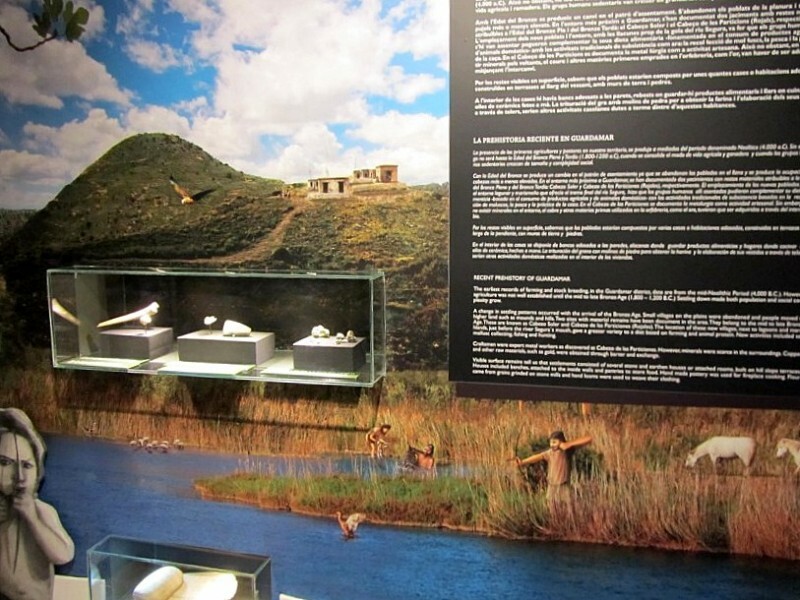 Within this area important Phoenician and Moorish archaeological remains have been discovered, particularly at the sites of La Fonteta (8th century BC) and the Rábita Califal (10th century AD). Day trippers to Guardamar have their work cut out to see everything the bustling town has to offer: apart from the dunes and beaches, there are also two fascinating museums reflecting different aspects of the town’s history and the remains of the walled castle, perched on the hill behind the town, which was home to the majority of the inhabitants until it was destroyed by the Torrevieja earthquake of 1829. Guardamar also has a busy and varied cultural life, which is of course livelier when the population swells in July and August, and is punctuated by various local fiestas including the Moros y Cristianos festival in the second half of July. As with all towns in this part of Spain, the local cuisine is also an attractive feature of life in Guardamar del Segura, with the typical paellas and rice dishes of the region of Valencia – this is officially a Valenciano-speaking municipality – enriched by the local “ñora” peppers and prawns. Over the last forty years Guardamar has grown spectacularly, and the population has increased four-fold to over 17,000. The town now boasts a wide range of facilities including the Casa de Cultura concert and theatre venue, an impressive municipal sports complex and a large weekly market in the streets around the town centre, close to the Town Hall and the main church. Secondary residential areas have been built along the coast and inland, and the multi-cultural history of Guardamar del Segura is now matched by the dynamic, cosmopolitan and multi-lingual community it has become since the growth of international tourism began in the 1970s. Marina de las Dunas Guardamar.. The marina of Guardamar lies at the mouth of the River Segura The marina of Guardamar del Segura is quite unusual for the.. Visitor centre, Parque Natural de las Lagunas de La Mata y Torrevieja.. 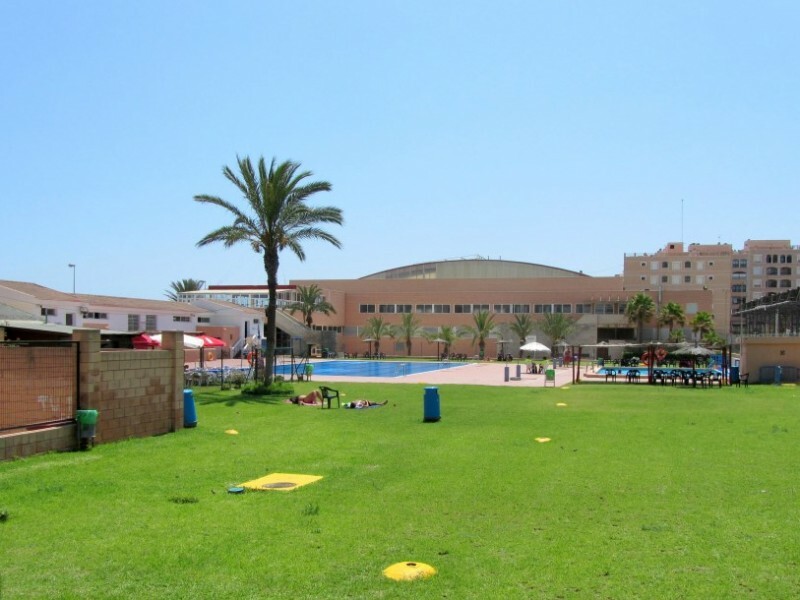 The sports centre is just a few metres from the Playa Centro in Guardamar The main sports complex, or “polideportivo..
Playa de los Viveros / Platja dels Vivers, Guardamar del Segura..
Playa Babilonia / Platja de la Babilònia in Guardamar del Segura..
Medical and health service in.. 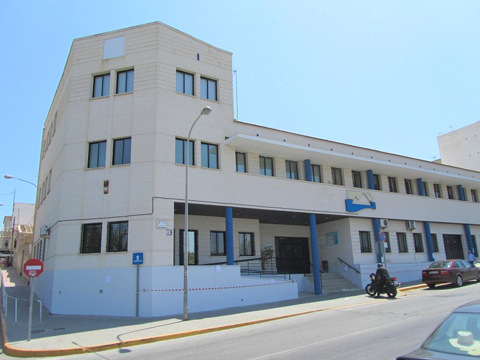 The main public health centre in Guardamar is on Carrer Molivent The public health service medical centre in Guardamar..
A history of Guardamar del Segura.. Humans have settled in the area of Guardamar for thousands of years The area around the mouth of the River Segura has attracted..